I meant to email earlier but it's been quite hectic here. Just wanted to say how impressed I was by the way yourself and Andy conduct your business. I have an inbred mistrust of anyone connected to sales and usually dread replacing a vehicle, putting it off or making tentative internet enquiries, and usually not hearing back. The opposite was true with Conisborough Motor Company with yourself taking the effort to phone and email me, yes you want to sell cars of course but this wasn't done in any way of pressure selling, in fact it was all relaxed and laid back. The actual process of popping down for a test drive (out of hours with yourself hanging back for me) was easy and again unrushed. Once I was happy to go ahead with purchasing the car it was a speedy process in terms of actually being able to pick the vehicle up and the completion of paperwork, carried out by Andy. I'm more than pleased with the car, I do a lot of miles and it simply eats them up making long journeys effortless and comfy, I've no doubt the low mileage on purchase will soon be added to! 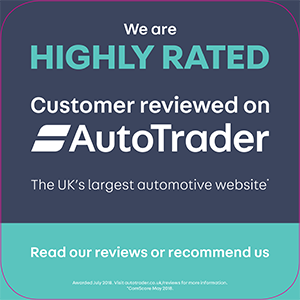 I will have no hesitation in recommending Conisborough Motor Company to friends and colleagues, I will certainly be coming to you again when the time is right." "Just wanted to say a big thanks for taking half an hour of your time to discuss our driving needs and suggest the right car for us and what price we should be paying etc., even though you did not have any of the vehicles you were suggesting and were simply not trying to just make a sale. I was hoping I would be able to write something on a forum somewhere so people can read what a trustworthy gent you are and I will not hesitate to come and see you when looking for a motor. Please feel free to use this testimonial as you wish and I’m sorry you did not have a Vectra, so we could have done business with you." May I take this opportunity to thank you for your after sales service. I have spent my working life in, or with, the motor industry. It is a real pleasure to purchase a used vehicle and be confident in the after sales service. I am pleased to be writing this letter and am more than willing for you to display its contents. You will be pleased to know the Mini is now performing well and we are looking forward to its first major outing – The Mini London to Brighton Run. I felt I had to write to thank you for the excellent after sales service following the purchase of my Citroen Berlingo. The few small problems were rectified in an efficient no quibble way that is hard to find in this day and age. I will certainly recommend you to family and friends as there is no doubt that you are prepared to go the extra mile where service is concerned. Anyone thinking of buying a vehicle from yourselves can do so confident in the knowledge that they will be well looked after following their purchase. We will always recommend your company in the future. Thank you for all your kindness and help to us both." You are a star, I’ve finally got a fantastic car, I’m so pleased with it. Just wanted to say thank you. When I need to change it in the future I’ll definitely be back to you."